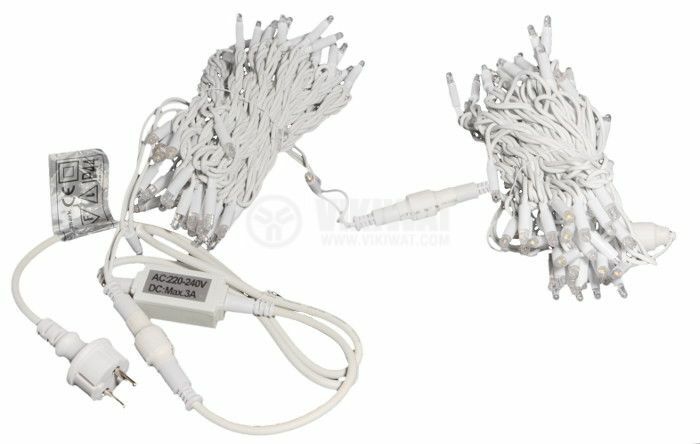 Christmas lights rope type with cool white light. 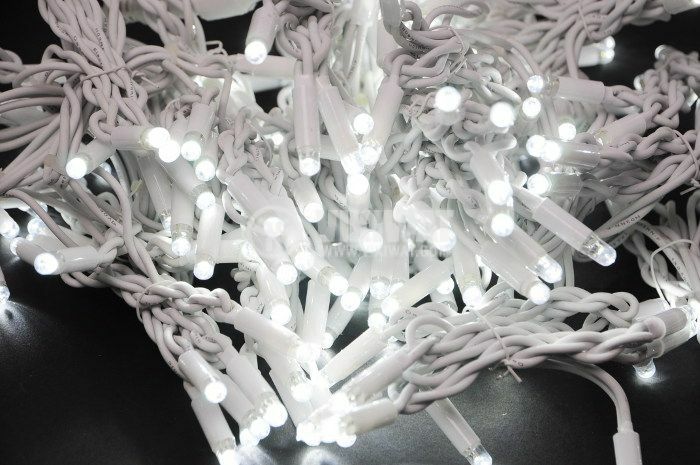 Total number of LEDs: 120. Suitable for exterior use (degree of protection IP44). possibility to connect other curtains up to 15 max.